Real Time Dashboard reporting within Shop gives Merchandise/Commercial Managers and Administrators real time analytics on sales performance across their store. 2. Select Dashbaord from the expanded left menu. 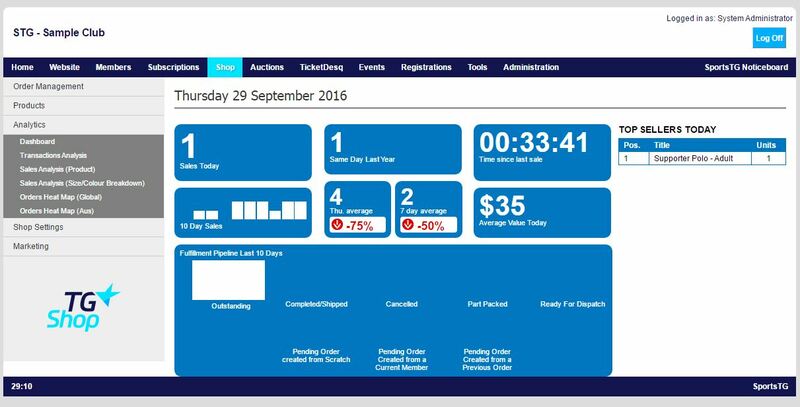 Note: The information displayed in this dashboard is up to the minute from the time you access the page. Use this information to accurately track your sales figures day to day.